Sweet Spells on Sunset Blvd at Disney's Hollywood Studios will be permanently closing from April 16 2018 to make way for a Pixar store. Set to open alongside Toy Story Land on June 30 2018, the refurbished store will be the primary location for Pixar merchandise at the park. The production kitchen and treats at Sweet Spells will be removed, although some prepackaged items will continue to be sold at other stores. For the non-packaged items, quick service dining locations will be the place to go. Reel Vogue located next door to Sweet Spells will continue to operate during the refurbishment. 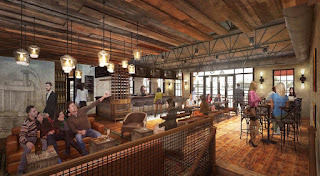 Wine Bar George in The Landing at Disney Springs is approaching its grand opening, and new concept art of the second floor area has been released. 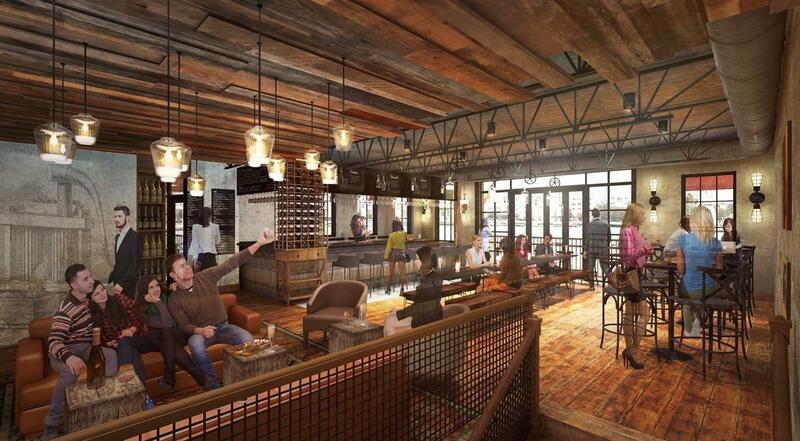 Created by Master Sommelier George Miliotes, Wine Bar George is expected to open May 2018 at The Landing in Disney Springs. Miliotes describes Wine Bar George as a “comfortable-yet-lively environment that’s reminiscent of a renovated winery.” The design for the 6,000-square-foot space features wood ceilings, concrete floors, warm lighting and a welcoming atmosphere. Shareable plates will be served including cheese and charcuterie that complement the wines, with local, seasonal features. “We’ll change our offerings as ingredients come into their prime,” he explains. Pandora - The World's of Avatar will soon introduce guests to the Pandora Utility Suit. Worn by a Pandora Conservation Initiative pilot, the suit is used to study the wildlife, collect plant samples, and to educate visitors about Pandora. In the movie Avatar, similar AMP suits were used for combat, handling heavy cargo and traversing the terrain of Pandora. Disney has just shared this video of the character, along with the launch date of April 22 2018 - the park's 20th anniversary. The suit was created in partnership between Lightstorm Entertainment, Disney Parks Live Entertainment, Michael Curry Studios and Walt Disney Imagineering. A new update to the My Disney Experience app brings location aware prompting for guests to start playing Agent P's World Showcase Adventure at Epcot. On a phone, My Disney Experience will prompt guests at the International Gateway, and the Mexico and World Showcase bridges. The pop-up in My Disney Experience will offer a 'Start Mission' button that takes guests to www.agentpwsa.com to begin playing directly on their own phone without visiting an Agent P kiosk. 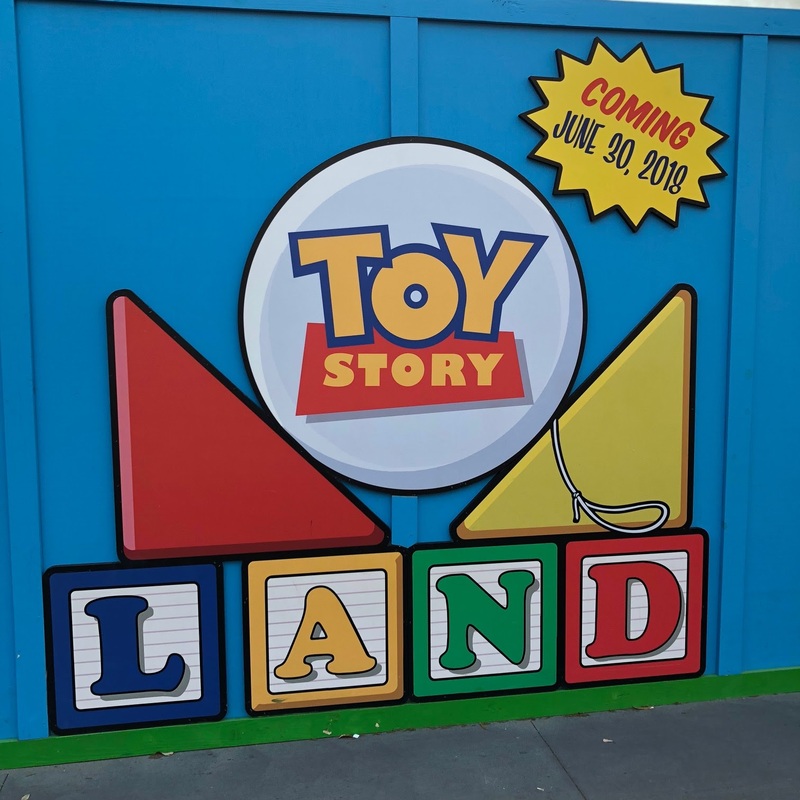 Toy Story Land opens June 30 2018, and along with its two rides comes a walk-up window offering classic sandwiches and snacks. "Everyone has a special food memory, so it can be tricky putting a modern spin on the favorites," explained Lenny DeGeorge, Concept Development Culinary Director for Walt Disney World, about the year-long menu development process. "We honored these classic dishes by using the best ingredients to elevate the flavors. How we constructed the sandwiches was important, such as layering the ingredients in a specific order, to maximize textures and flavors. Why have a cold sandwich when you can have a toasted hot, gooey cheese-filled one?" Woody's Toy Box will offer something for breakfast, lunch and dinner, open from park open to park close - and it will be on the Disney Dining Plan. In addition to fountain drinks and lemonade, beverage offerings include a classic Barq’s root beer float and a Mystic Portal Punch (PowerAde Mountain Berry Blast with flavors of lemon-lime and tangerine). For the big kids there’s a Grown Up’s Lemonade with cherry vodka, Odwalla Lemonade, and black cherry purée.